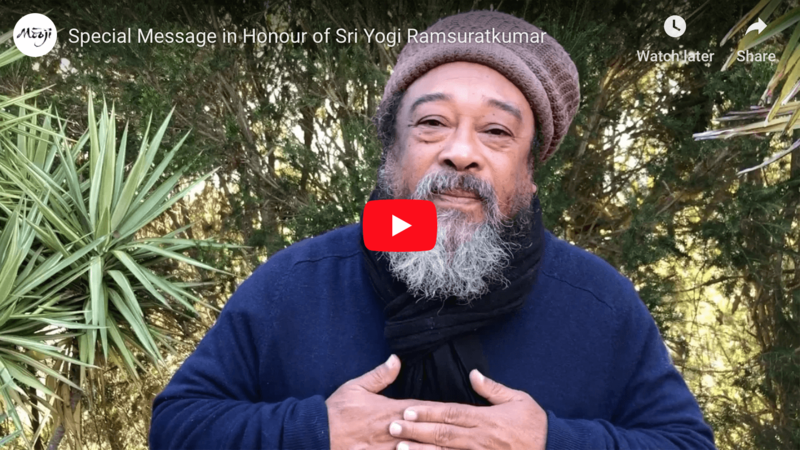 We are very happy to share this message from Moojibaba in honour of Sri Yogi Ramsuratkumar’s 100th Jayanti celebrating the anniversary of his birth. We take the opportunity on this special day to appreciate and imbibe the blessing and influence of one of India’s most beloved saints. Moojibaba’s full account of meeting Yogi Ramsuratkumar is available to read here.